You’ll get rewarded for your loyalty, but watch out for the sky-high interest rate. For retailers, this is not only prime-time sales, it’s the peak season for generating new customers. Getting you to carry their credit card in your wallet is a perfect way to start a relationship and build brand loyalty. “Retailers push their store credit cards because they know that if they get somebody to sign up for one of those cards, they're more likely to come back, and that's what it's really all about for them,” said Matt Schulz, chief industry analyst at the website CompareCards, a credit card comparison website. Kohl’s Charge card: 35 percent off your first purchase in store or online, plus another 15 percent discount when your card arrives in the mail. REI Co-op Mastercard: A $100 gift card when you make a purchase within the first 60 days of getting the card. The Home Depot Consumer Credit Card: A $100 discount on a purchase of $1,000 or more within the first 30 days. Amazon Prime Rewards Visa Signature Card: A $70 Amazon gift card immediately upon approval. The average annual percentage rate (APR) for a store credit card is nearly 25 percent (24.97 percent), more than eight percentage points higher than the average APR Americans pay on other credit card debt — currently 16.46 percent, according to the Federal Reserve. Store cards that can only be used at that specific retailer or family of stores had an average APR of 26.93 percent. Co-branded cards (with a Visa, MasterCard, American Express or Discover logo) that can be used anywhere had a slightly lower average APR (23.20 percent). Retailers say there’s a reason why the interest rates on their credit cards are higher — it has to do with increased risk. A store card is clearly good for the retailer, but what about you? It all depends. And it’s not easy to weigh the pros and cons when you’re in a rush. “A lot of times when you get these cards, you're doing it in a pressure situation at checkout and you don't have a whole lot of time to decide or to look at details, and sometimes you end up making a decision that you regret,” Schulz said. If you’re offered a sizable discount on a significant purchase you’re about to make — and you know you can pay off the balance when the statement arrives — it may be worth applying for the card at the register. I did that once and saved a bundle on an expensive winter coat, but I knew I could pay the bill in full when it arrived. You don't have to be an accountant to understand that it doesn't make any sense to pay 25 percent in interest to save 20 percent on a purchase. And there may be other perks, such as special cardholder offers, early access to sales and ongoing rewards. Because retailers tend to have a much easier approval process, a store card can be a good option for someone who can’t get a credit card because of no credit or poor credit. 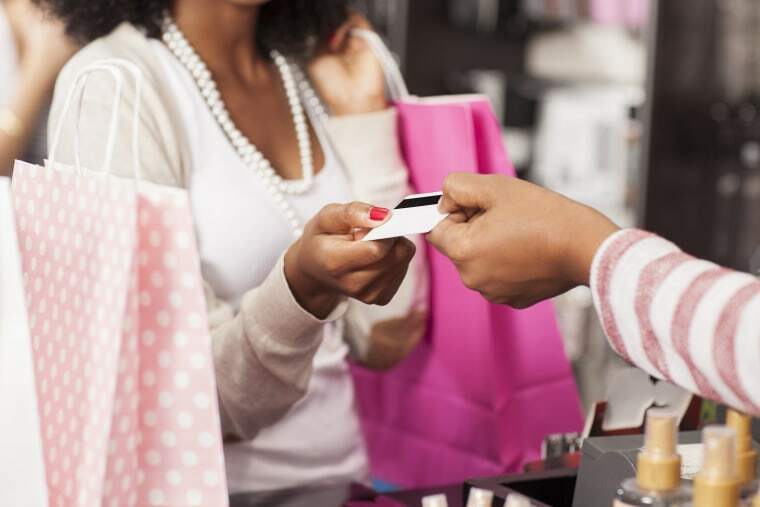 Many store cards offer “special financing” for that initial purchase: No interest for a specified promotional period, typically between 6 to 24 months. These “deferred interest” offers can be a real money-saver, but there’s a big catch you need to know about: Fail to pay off the balance in full by the end of the promotional period or make just one late payment and you’ll get hit with accrued interest on the full purchase price at the store’s sky-high interest rate. “A single late payment, even if it's late by a day, can trigger that interest charge for the entire period of the deferred interest offer — even if you're just a couple months into that deferred interest period — which can really set you back,” said John Ganotis, founder of Credit Card Insider. Let’s say you buy a TV for $1,000 and you don’t pay off the entire balance by the end of the 12-month interest-free period or miss a payment. Assuming the interest rate on that card is 24.97 percent (the average APR for store cards right now) you’ll be charged nearly $250 in accrued interest. Note: You will never pay off the balance by the end of the promotional period, if you only make the minimum monthly payment. So what do you do when you’re offered an instant discount if you apply for the store’s credit card? The smart move is to get a brochure, take it home and review the terms and conditions. The checkout line isn't the place to make financial decisions. That said, if you’re going to get a significant discount on a sizable purchase or you regularly shop at that store — and you know you will absolutely pay the bill in full when the statement comes — saying yes might make sense. If you plan to carry a balance, don’t even think about applying for that card. You can compare store credit cards at CompareCards, CreditCardInsider, and WalletHub.